Glimpsing behind the veil of the Trump Whitehouse was a temptation I couldn't resist. I was aghast, I rolled my eyes, I gasped, and I laughed, but I did not cry. But if it was my country, I probably would have. Absolutely bizarre. I now know more about The Donald than I ever wanted, or is good for my psyche. Knowing what has been going on in the inner circle at the helm of USA government is both entertaining and frightening. More of the latter. 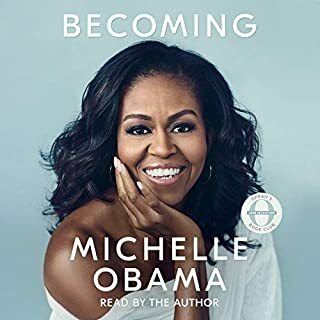 The book itself was good, but you could tell it had been rushed into print (audio): rambling, repetitive in parts, jumping around... but it would mean less if it was honed for another month or two. The narrator was ok, but in the last 1/4 of the book I keep falling asleep. Kind of strange in a riveting tale. I must say, it was equally bizarre to be listening at the same time as the outfall about the book was going on. Interesting enough for political junkies and average folk. Compelling to hear behind the scenes of what was reported. Bannon seems to be the source for 90%. 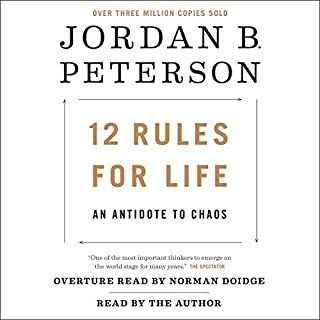 I believe most of this book. It is confirmed what an attention hungry little weak man Trump is. Basically every bad decision had "Jarvanka" behind it! Highly recommend this one! Narration AAA très bien réalisée ! Excellent story. A wonderful and fast paced read. The political drama of this time. I could not put it down. 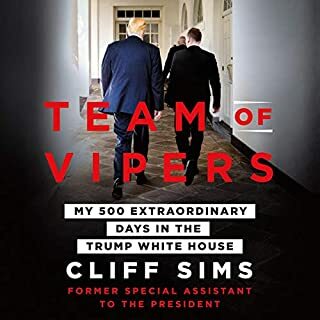 We get the sad diabolical backstory and a behind the scenes portrait of the administration's last year in hell. 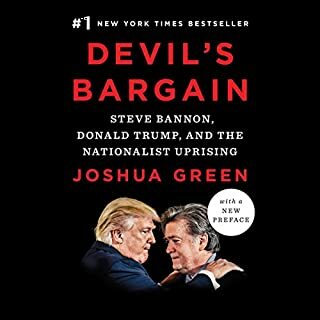 Bannon actually appears as the most conscionable handler of Trump's ADHD, as we watch the populist movement Trump figureheaded spiral into Trump's narcissistic abyss. I don’t know how many times I shook my head during this book. Makes me wonder how he got all the content and how much was based on staffers’ POV. Pretty incredible tale...makes you wish it was fiction. I think the reader stole the show a few times though-especially during Trumps ramblings. Loved listening the narrative. Amazing book. 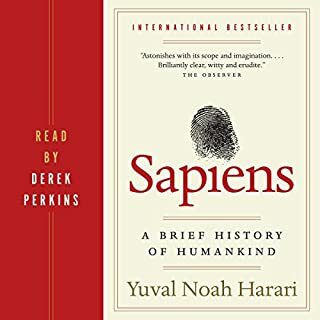 So many unknown facts I didn't know until listening to this book. Great journalistic work. Well done. This work treats what should be fiction as a truth that is stranger than fiction. It is completely consistent with the cascade of news tidbits (aka "Fake News") that emanate from the Trump White House. Probably not. When I began fact checking, I immediately found that the book exaggerated situations. While I am not a Trump fan, I don't want to be misled either. One example of misinformation is when the author discusses Trump's speech to the CIA. 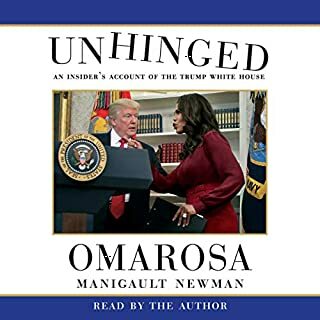 When I compared what the book reported to the entire speech on CNN, it was obvious that the book was editing out, and misrepresenting what was said. Would you recommend Fire and Fury to your friends? Why or why not? No, primarily because of the misrepresenting information. I prefer my journalism to be factual and allow me to make my own opinion. 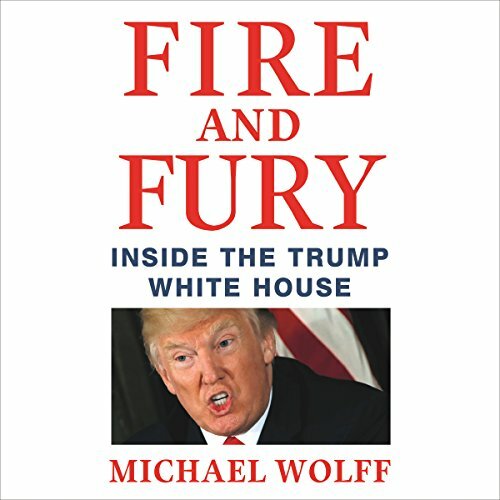 Did Fire and Fury inspire you to do anything? Be more diligent in fact checking. Please leave the spin out of journalism, it's hard enough to get to the truth when people are being factual. 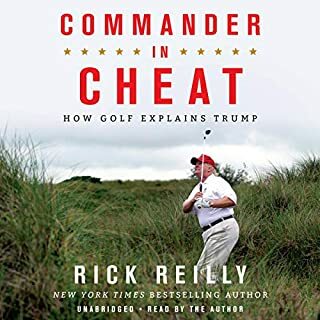 the author basically starts off the books saying although he's done so much research and interviewed a lot of people He is uncertain what parts of the book are real and fake and sometimes he will let the audience know and other times he leaves it up to the audience to determine. This is a mistake and significantly reduces The credibility of the book. It would have been better if the author had used his research to make an educated guess on what was going on rather than adding conjecture. Increased ambiguity on such an important issue is disappointing. having said that the narrator is top-notch. This book would have been so much better if the author was able to eliminate his own bias. 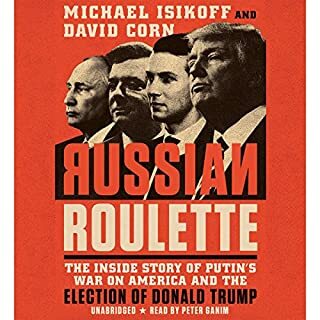 I am by no means a Trump supporter, but many points in this book are discredited or provably false with simple observation or common sense. According to this book, Trump is a stumbling, bumbling idiot, who accidentally became president. That is painfully untrue. Whether he is delusional or not, Trump believes he will be/is a great President and it has been his goal to become so for years. To claim otherwise takes so much credibility away from this book, which is sad. It is sad because there are, what I am sure are many moments of truth in this book, but it is deluded by its dishonesty. Most non-fiction comes in with hard facts & supports the initial premise as the book progresses. Sadly, a lot of hype prompted me to purchase this book. I kept yearning for something more substantive & less salacious. This book was more commentary than investigative journalism. 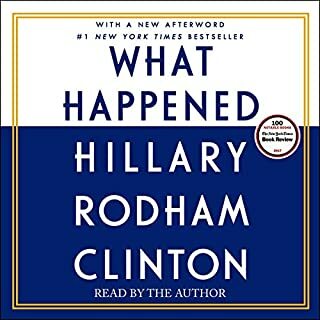 If you regularly keep informed about politics and policy, there is ZERO need to read/listen this book. 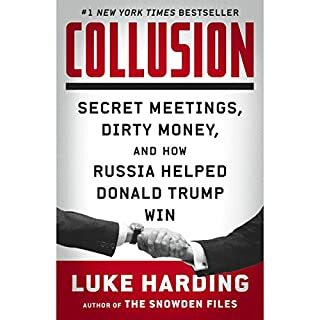 If your news sources includes the WSJ, NYT and Washington Post, then you pretty much already have read much of what is written in this book. No doubt there is some exaggeration, but all in all, this book is a yawner. 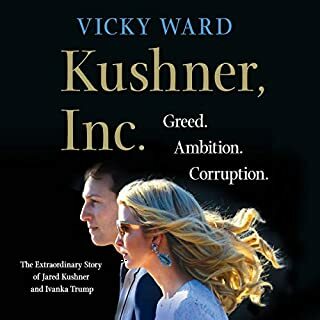 Had there not been so much political noise about this book, many people (myself included) would never have bought it. All in all, it was not very good. 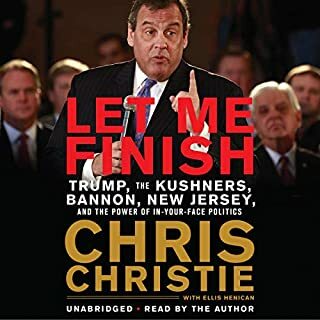 Well, I got the book to get some insight into the Trump presidency but a few chapters in and it's hard to listen to. The narrator is the biggest problem. He speaks with obvious bias, contempt, and near rage at Trump's existence that I can barely pay attention to the content. The CONTENT! 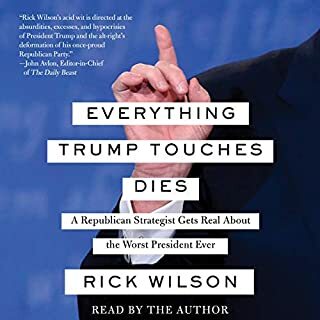 Well, if you hate Trump, you'll love this book. The good: this is well-paced, and traces the events and personalities well. Some historical context and analysis is offered, such as practices of earlier presidents, compared to Trump's. These passages are well-crafted. Some of the rightist figures I found surprisingly interesting, such as Bannon and Ailes. The depictions here go beyond the two-dimensional cutouts offered in much popular press. The narration is superb. 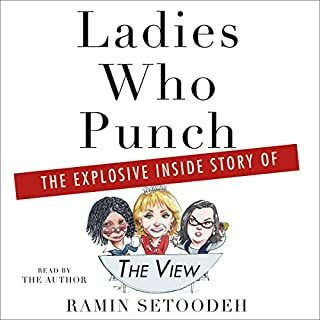 The book overall is a nice recap and update to the conversation. Keeping a fair distance from every last assertion this author makes, I do feel I am better educated on the history and players, having listened through this. Some of the fly-on-the-wall feel of being there came through well, though not all. The bad: there is too much of a disembodied, unattributed, omniscient straw-person voice floating around explaining everything in the standard blue way, if a colorful and cleverly-phrased version of it. There are stretches where actual quotes would be more welcome (as small a sample as each might be anyway, to use the statisticians' term). The author's opening disclaimer too casually tries to dispel this deficiency. A bit more caution and care in the journalism would suit me. Finally, I applaud this release as flushing out Trump, brandishing his lawyers' threats and his nondisclosure and non-disparagement agreements. It it is high time his straddling the public-private line and getting a free ride attempting to privatize the truth was tested in the courts. Not that I think he will follow through. His track record in such fights has been severely patchy as it is. Yet, he plunges forward, unable to resist rising to the bait. Ha! What made the experience of listening to Fire and Fury the most enjoyable? It's the curtain-opening moment showing in great detail that the emperor not only has no clothes, but barely even understand he is emperor. What was one of the most memorable moments of Fire and Fury? What about Michael Wolff and Holter Graham ’s performance did you like? 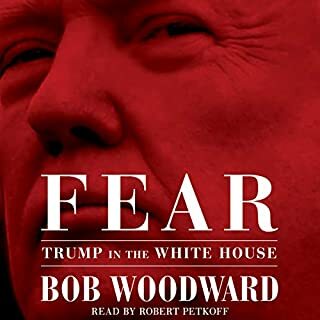 Wolff has recorded these conversations, so you can hear the distinctly Trumpesque or "Bannon-ese" nature of all quotes in the book. It reads like fan fiction about the White House, which is great fun at first, but then you remember "this all actually happened", and it's a bit terrifying. We now have a clear, referenced exposé of how this so-called "draining the swamp" ironically consisted of dumping 1000s of tons of toxic waste right back in, then letting it sit stagnant because the Command-in-Chief doesn't even want to be there in the first place. Hurry up, Mueller. Please, hurry up. 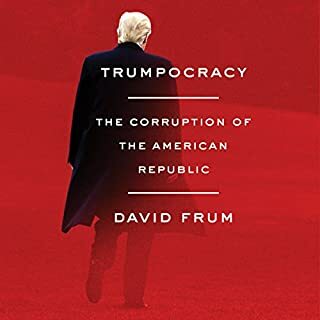 My favorite comment I’ve read so far comes from another reviewer: “Reading this book is like being forced to eat an entire 5 gallon carton of ice cream.” This book add important perspective to the debased, insane world of Donald Trump and the pathetic people who choose to be in his orbit. The sad joke of it all is that Mr. Trump was elected by less than 30% of the population and has the tools to put his lack of intellectual ability, declining faculties, perverse penchant for conspiracy theories, and ceaseless appetite for self-indulgence and gratification to damage our national interests for generations to come. 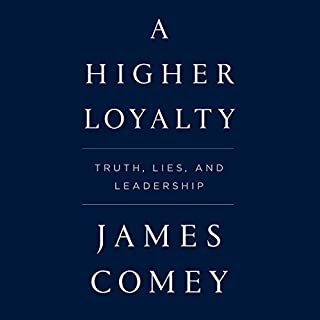 So my plea upon finishing this book on the day of its publication is this: Hurry up, Mueller! I can't believe I voted for this man !!! The book flowed very well. Mayhem and embarrassment... Plus we need to vet or do background checks on people much better running for president !!! Inintéressant et le ton du narrateur est pénible a suivre. 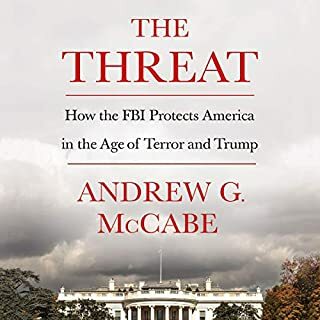 I don't think there is much point in me reviewing this book as it has been so much in the news. I feel Michael Wolff does a great job communicating (to a UK person) the structure, flavour and atmosphere of the White House during the first 6 months of Trump's presidency. I will just say what a terrific job Holter Graham does in the narration. His American accent and energetic delivery really animates the stories and frequent quotations. The language is very colourful and Holter communicates the vitriol and exuberance of the speakers involved - particularly Steve Bannon. I don't think if I'd read the book to myself I would have picked up all the meaning and passion behind these quotes; a case of the narrator adding to comprehension of the written word. Rollicking great journalism and a valuable review of the Donald Disaster. Fly-on-the-wall like never before in history's most dysfunctional White House.